Using a vegetable peeler, remove the zest in strips from one orange and the lemon. Be careful not to remove any of the bitter pith. Cut both oranges in half and juice them. Using the side of a heavy knife or a meat mallet, lightly crush each garlic clove. In a large bowl, combine the orange juice, orange zest, lemon zest, garlic, olive oil, vinegar and thyme. Add the olives and mix well. Cover and refrigerate at least 12 hours (24 hours is even better). Stir every so often. Serve at room temperature. 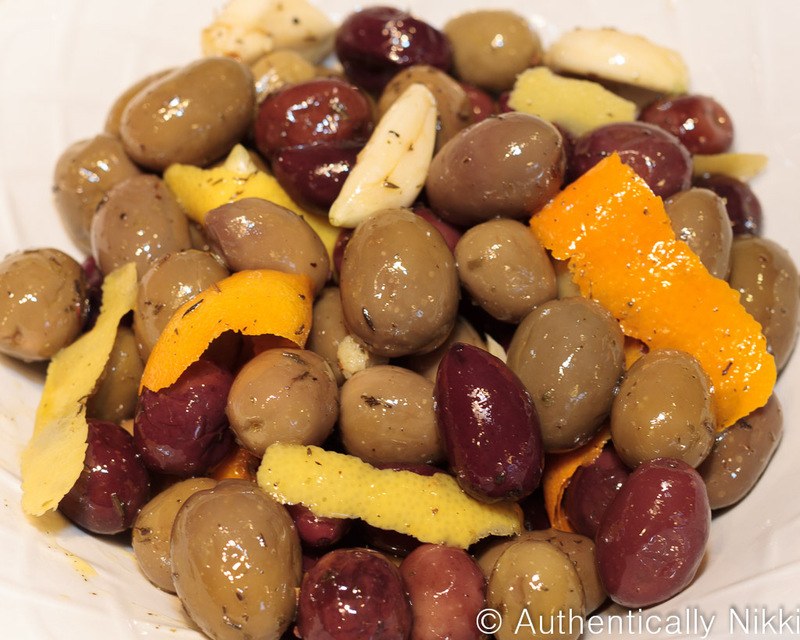 This entry was posted in Food, Side Dishes and tagged olives, orange, Spain, tapas, thyme by authenticallynikki. Bookmark the permalink.